There is a new addition on the Appetizers and Snacks category. This is an unusual pretzel because we are used to those crisp and thin. Try having this soft pretzels for a change. In a medium mixing bowl, dissolve ¼ teaspoon sugar in lukewarm water. Sprinkle in yeast and stir once. Let stand until yeast starts to bubble and dissolve. Add 1 and ½ cups of the flour, oil and sugar. Beat about 3 minutes with electric mixer until smooth. Turn off mixer and let stand for about 5 minutes. Restart mixer at low speed. Gradually add another 1 cup of the flour to form a soft dough. Continue adding flour a little at a time until dough forms a medium-firm ball. Turn dough out onto floured surface. Knead it with your hands until dough no longer feels sticky. Divide dough into 12 pieces. Roll each piece into a rope and twist into a figure eight or pretzel shape. Preheat oven to 375 °F. 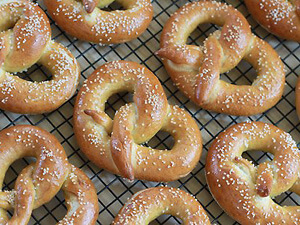 With a slotted spoon, dip pretzels one at a time in boiling water with baking soda, 30 seconds on each side. Arrange pretzels in heavily greased cookie sheet. 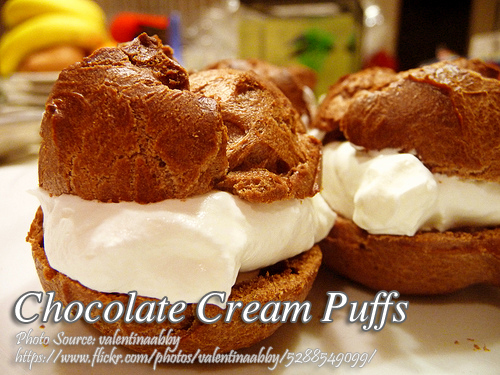 sprinkle with salt crystals and bake until golden brown about 10 minutes. Use cheese whiz, salsa or any of your favorite dip for dipping sauce.